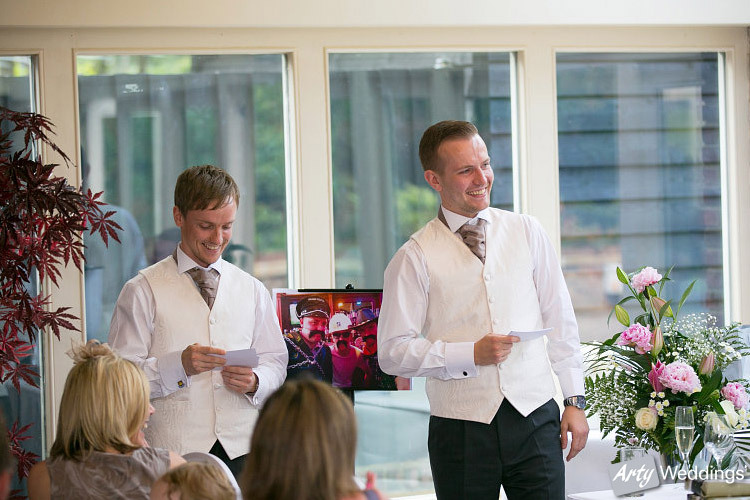 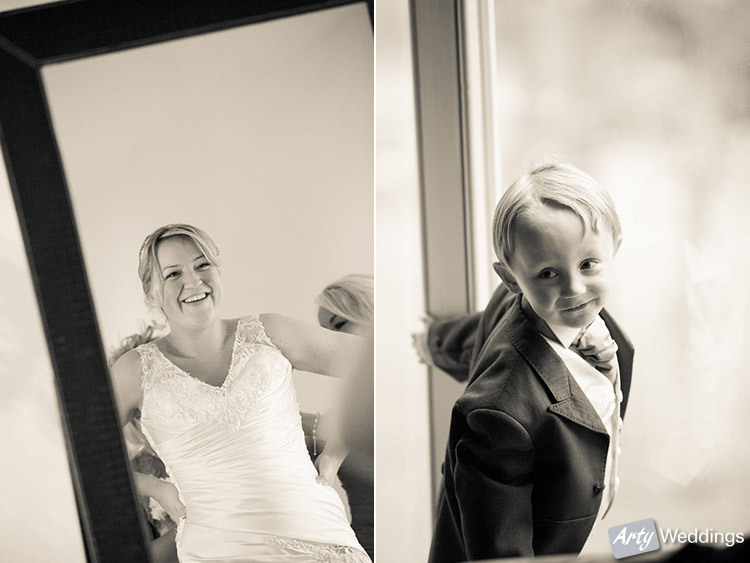 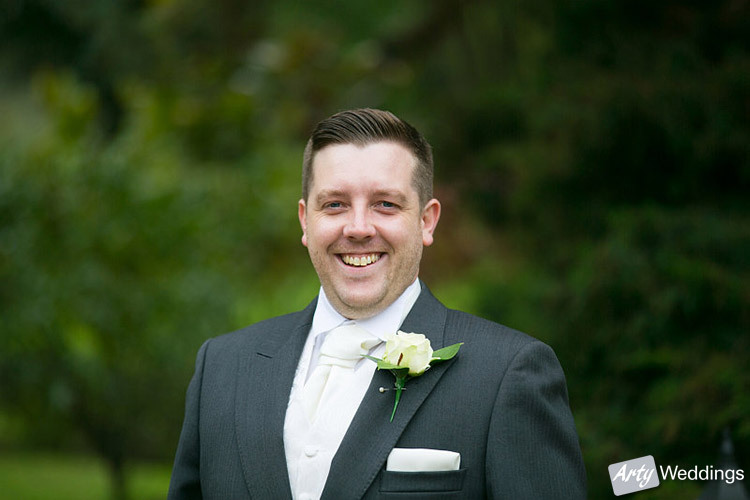 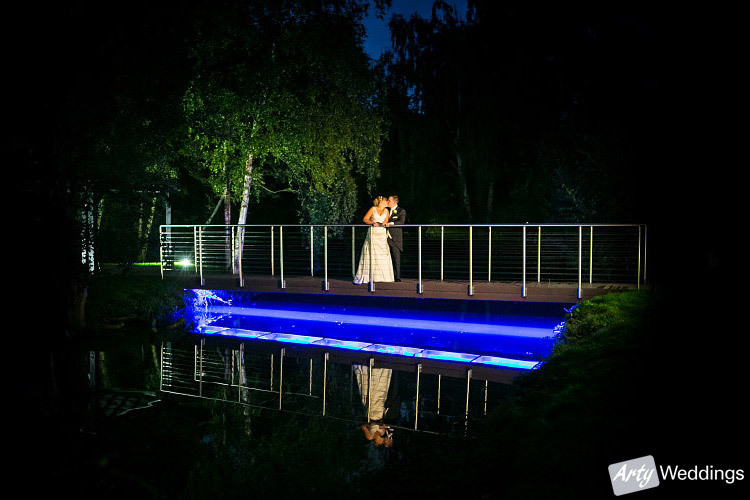 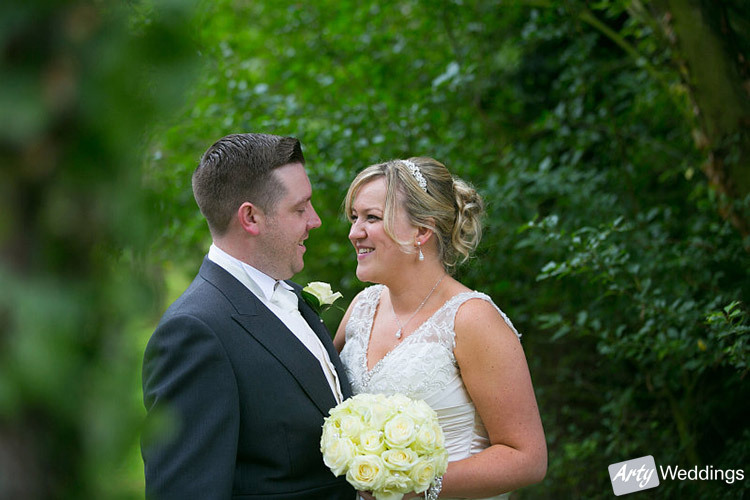 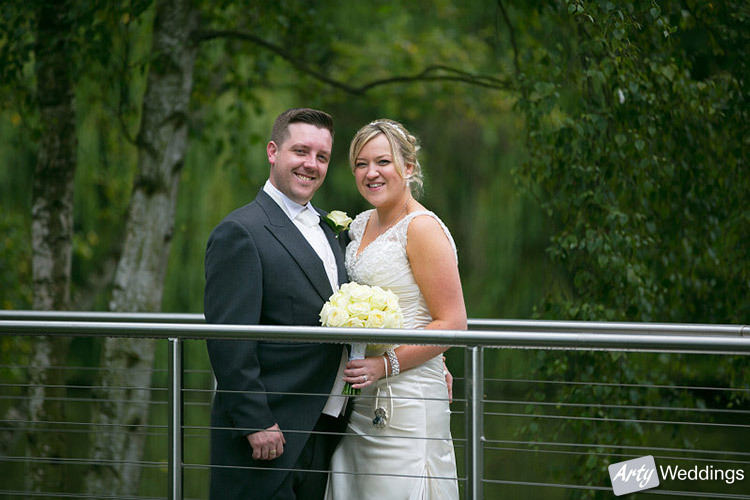 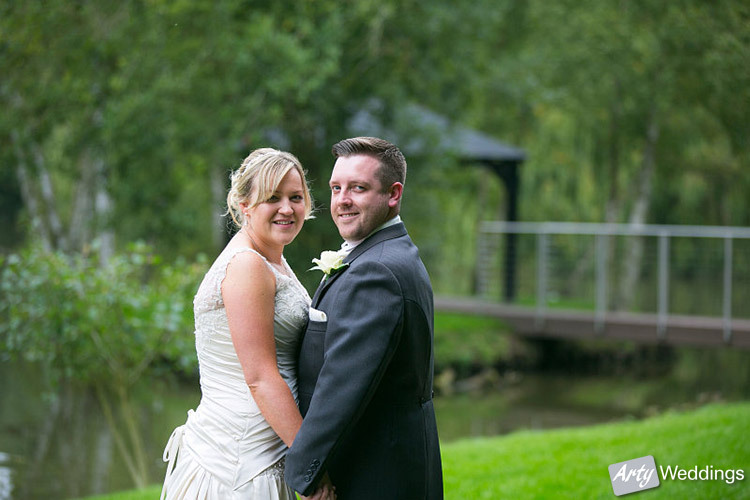 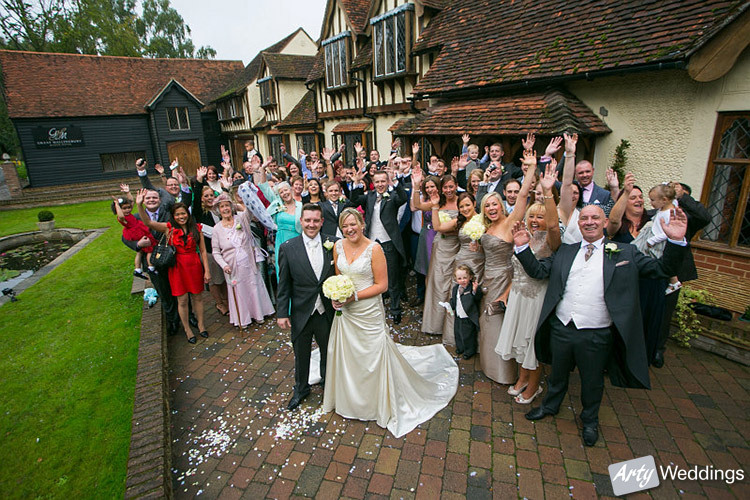 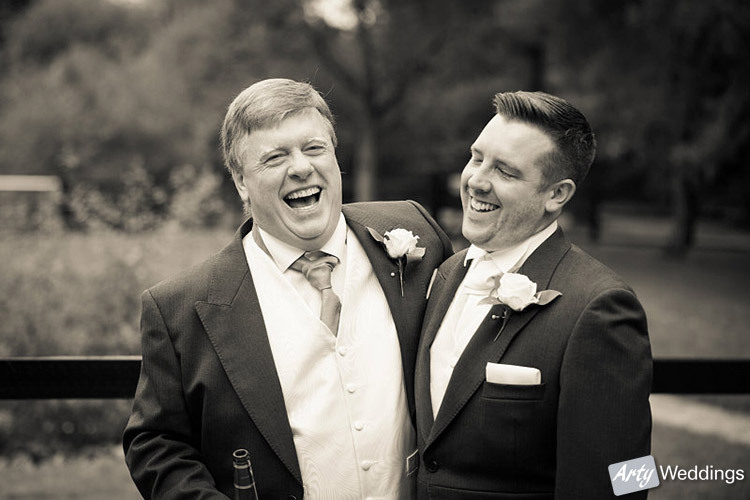 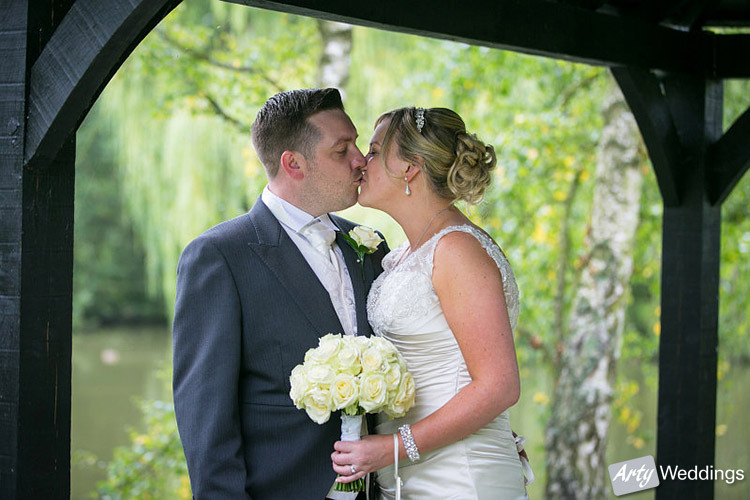 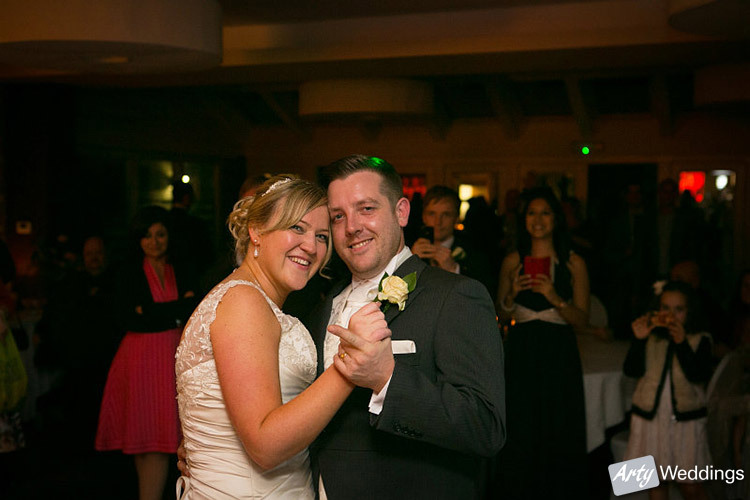 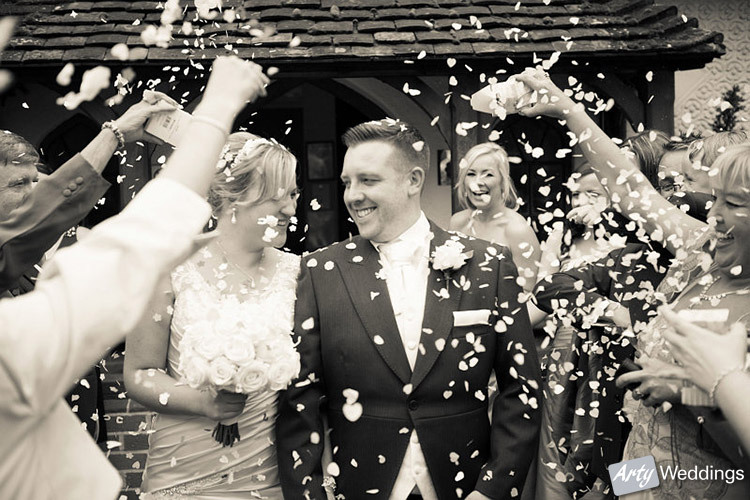 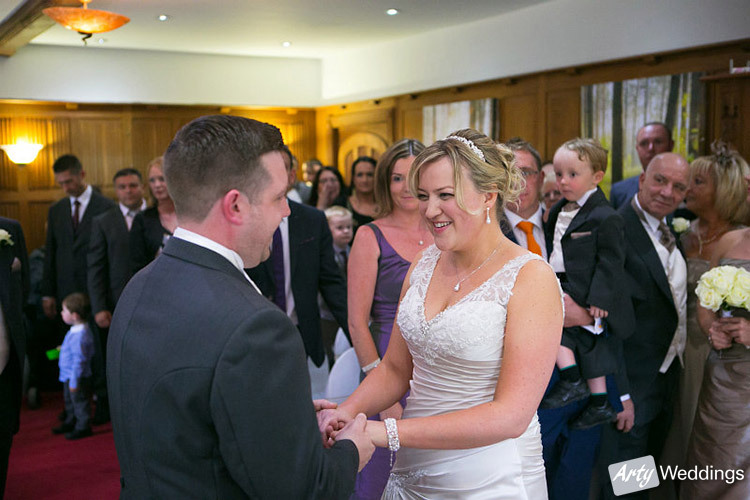 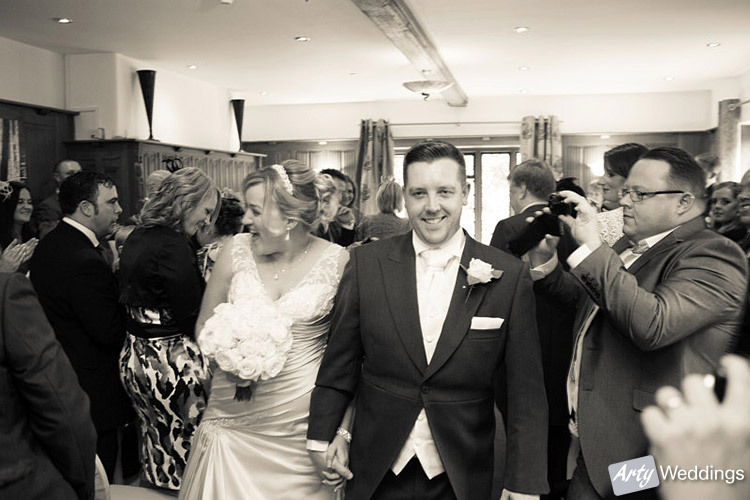 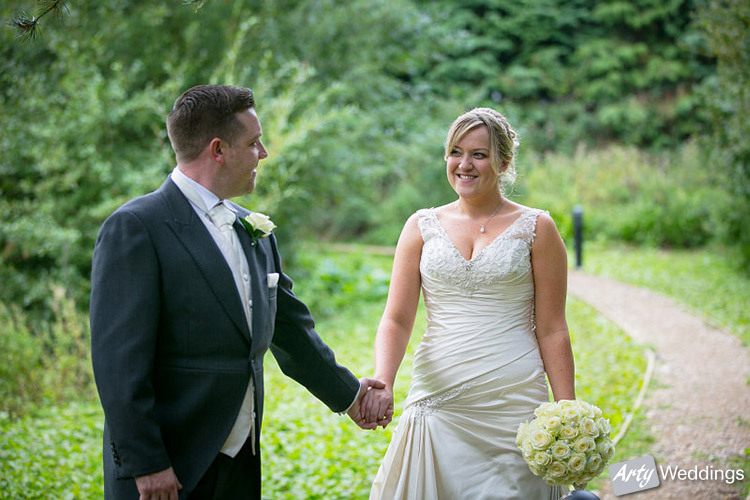 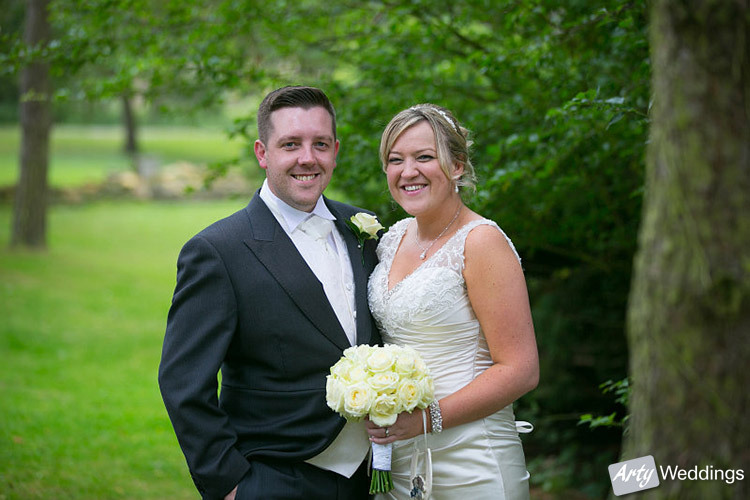 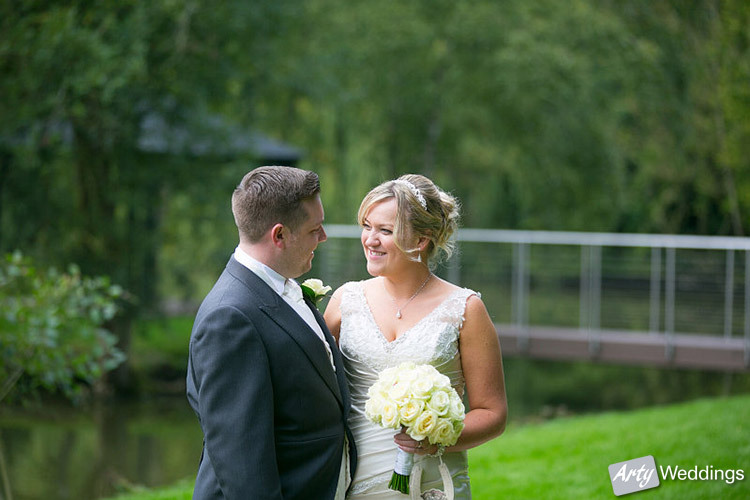 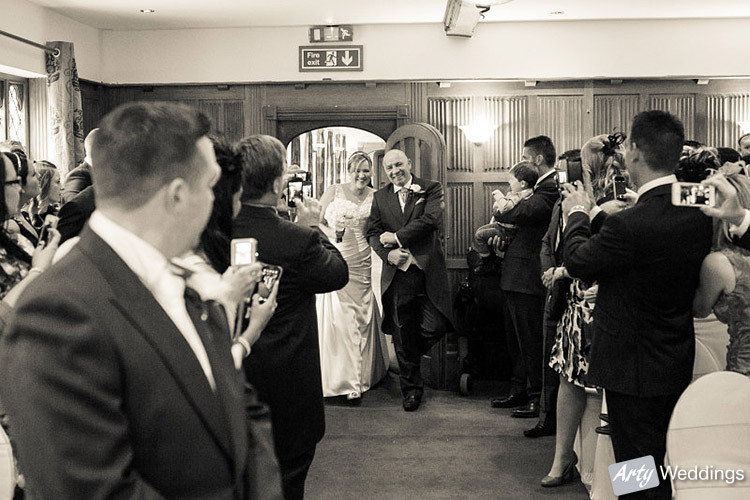 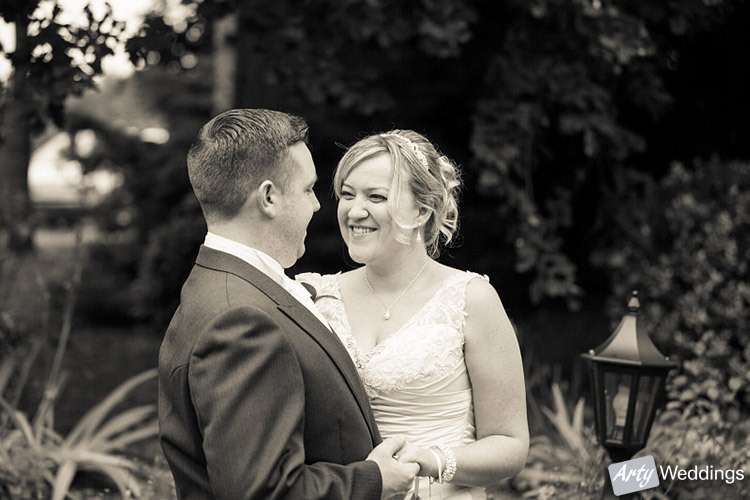 In September 2013, I photographed this wedding for Jo and Mark which took place at Great Hallingbury Manor near Bishops Stortford in Hertfordshire. 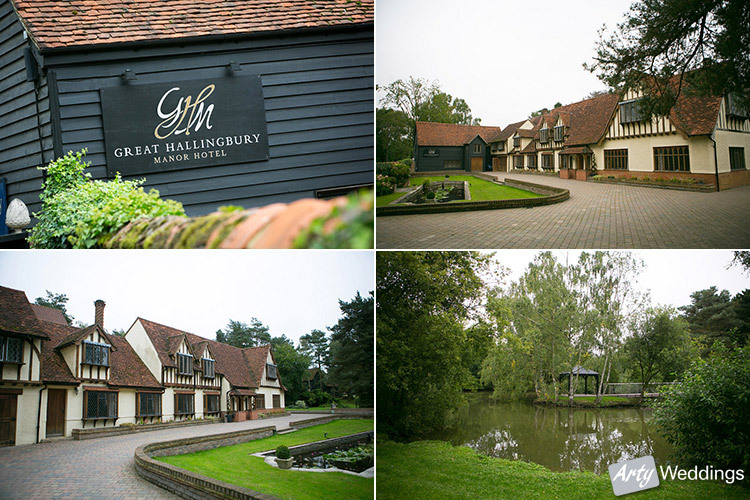 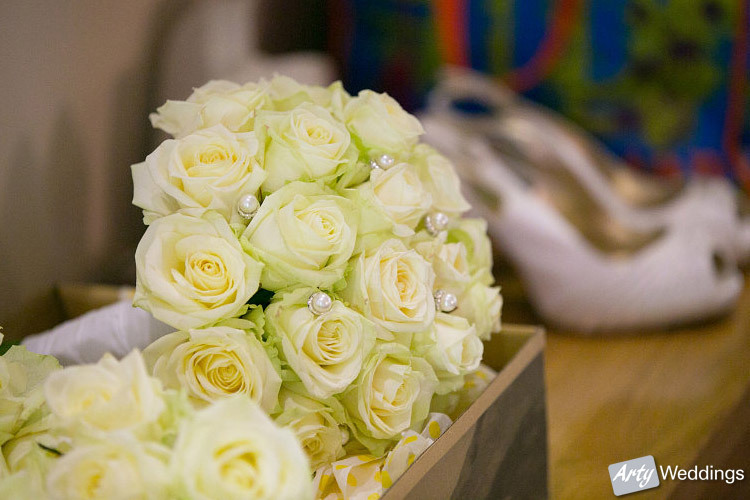 Great Hallingbury Manor is one of my local venues and is a great location for weddings with its boutique style and stunning surroundings. 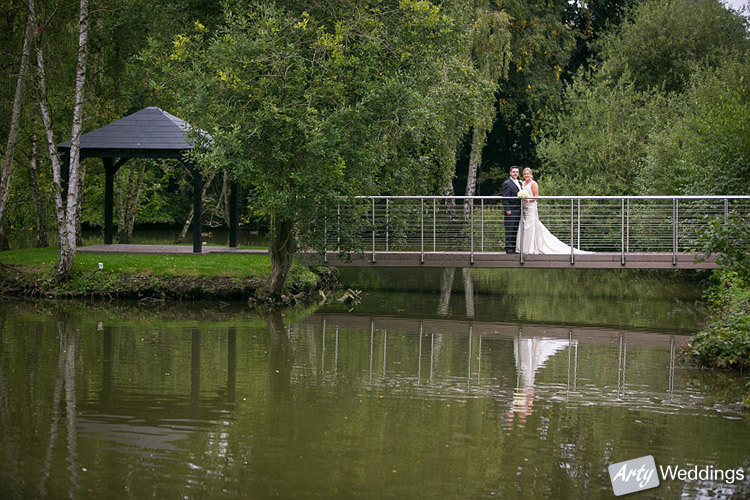 Much had changed since my last wedding there, with the addition of a bridge over the lake and a path all the way round it. 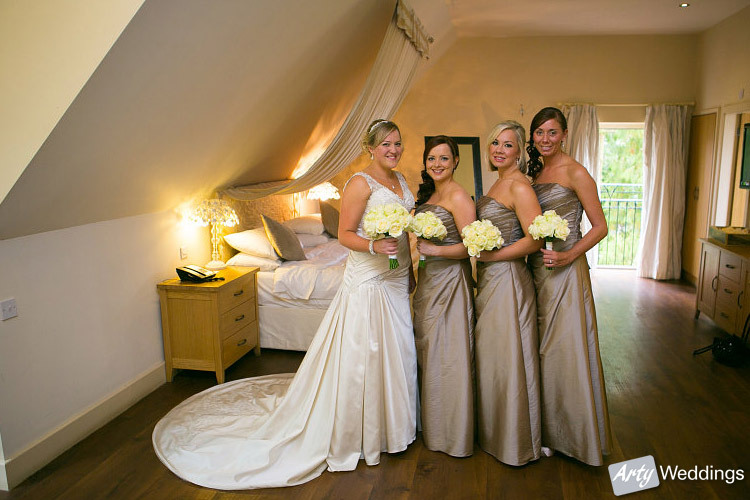 I captured the bridal preparations in the bridal suite. 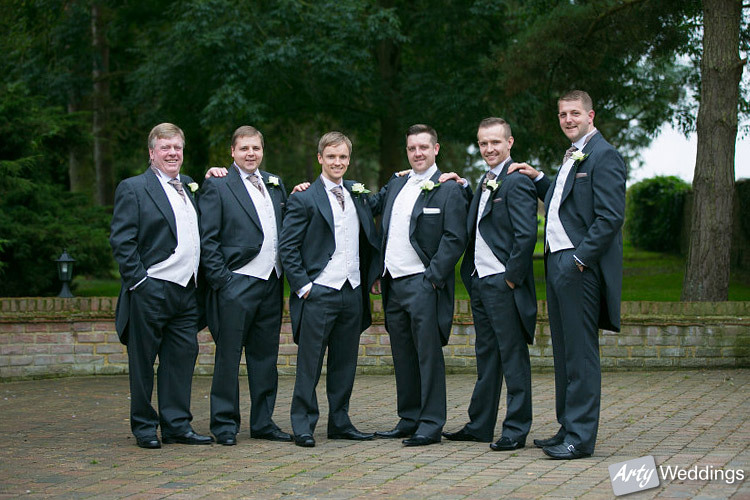 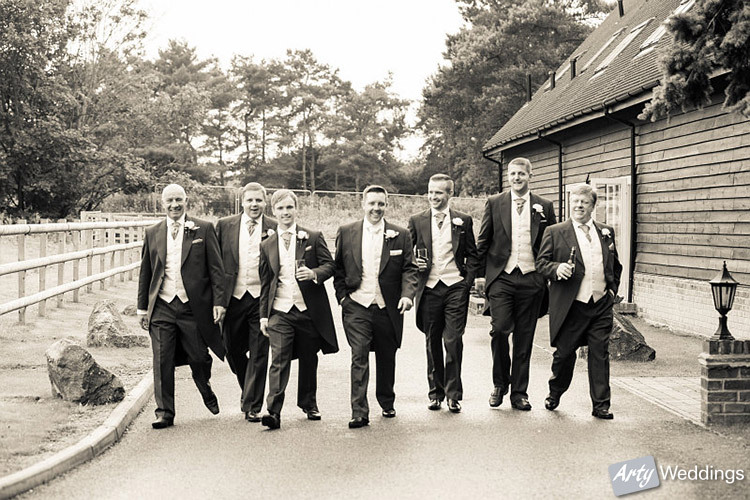 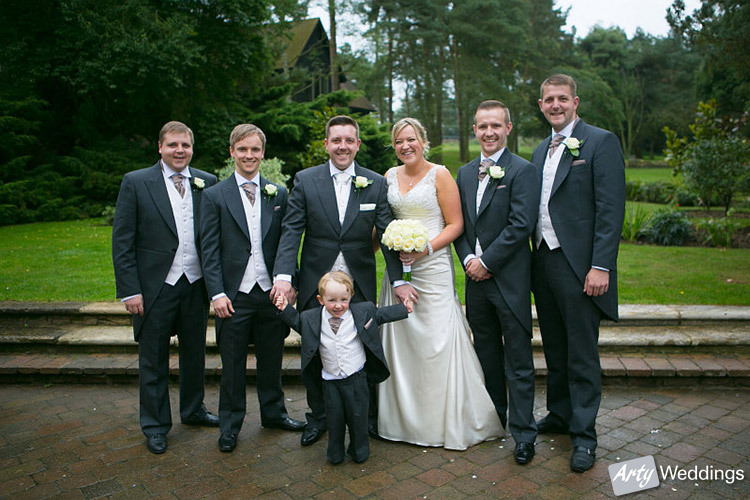 It wasn’t long until the groom and the grooms-men arrived. 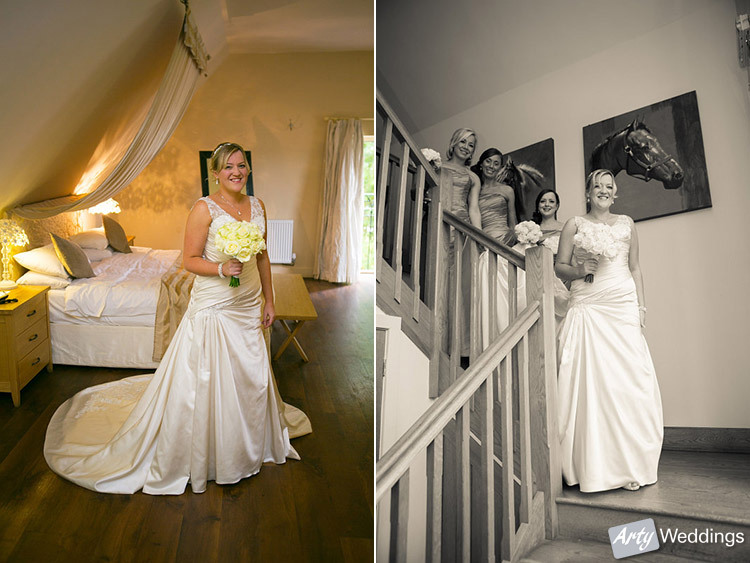 The girls were almost ready, just a few finishing touches. 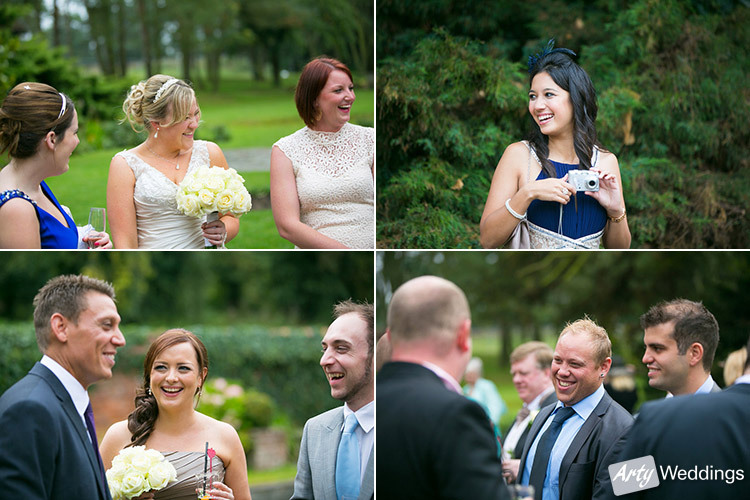 A little bit of rain didn’t dampen the mood though. 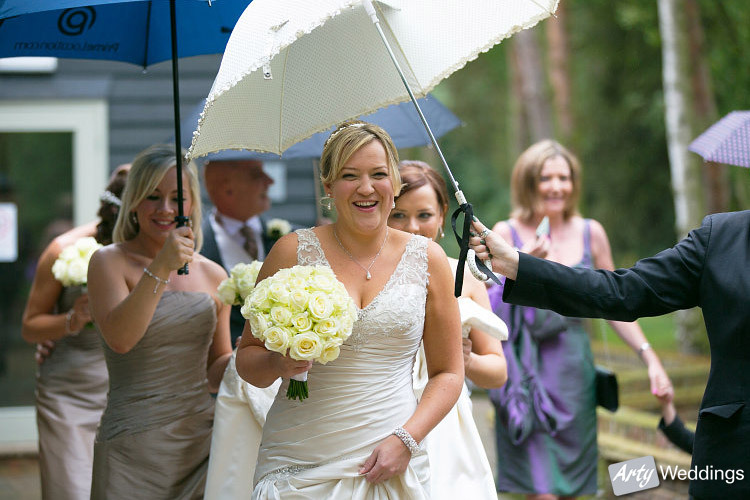 After the ceremony we headed outside, it had stopped raining, but the couple were showered in confetti. 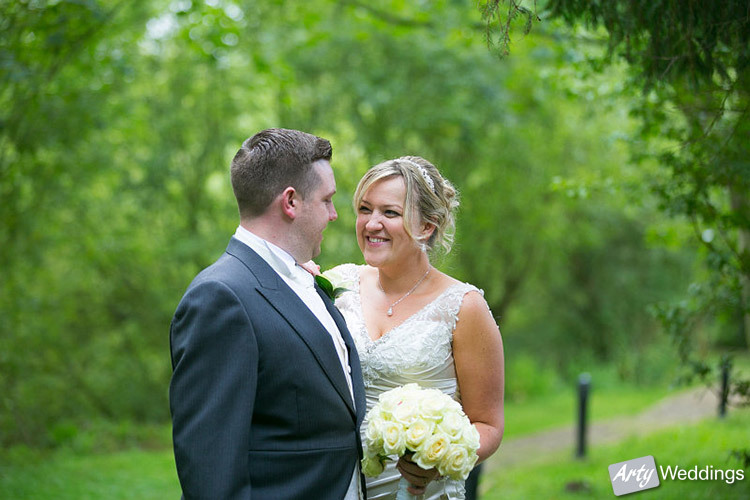 After some group photographs and lots of casual, natural shots I then took the couple for their romantic shoot. 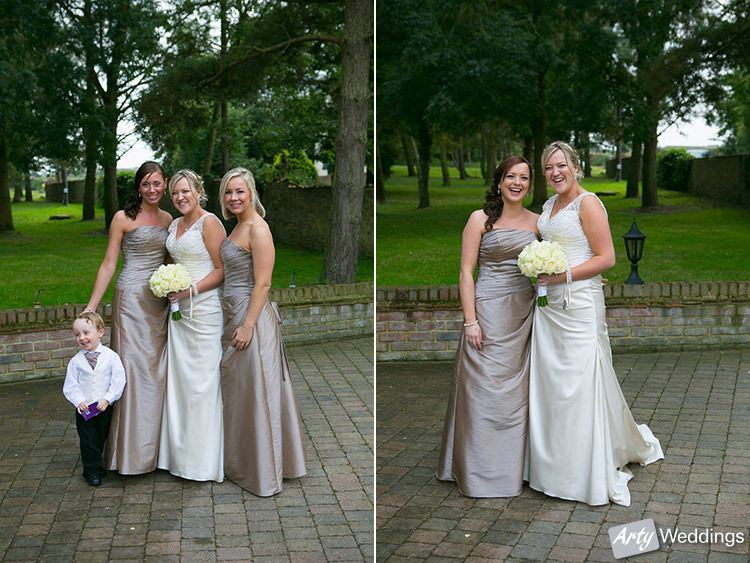 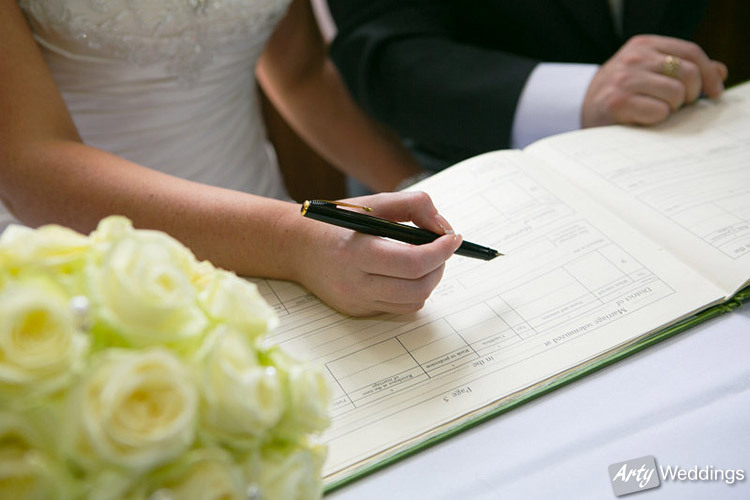 This only takes about 20 minutes but really does ensure they get some great wedding photographs to remember. 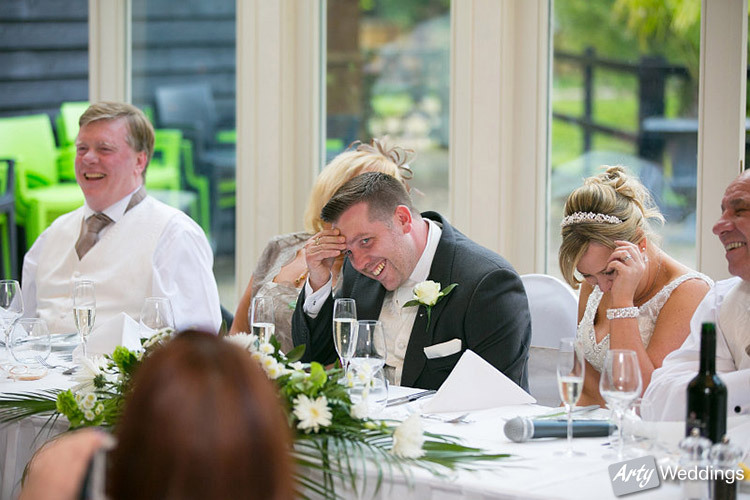 It was time for the meal, followed by the speeches, always a great opportunity for fun expression. 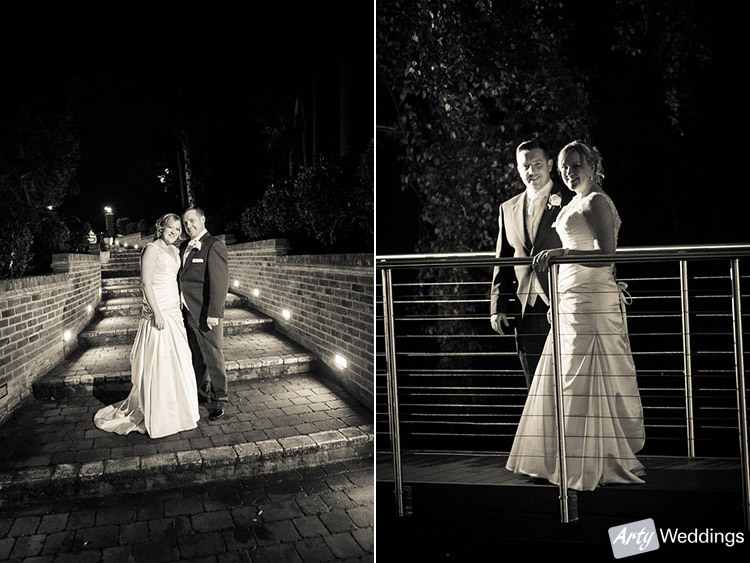 This time of year it’s possible to do some night-lit shots, especially when we found out the bridge was lit up. 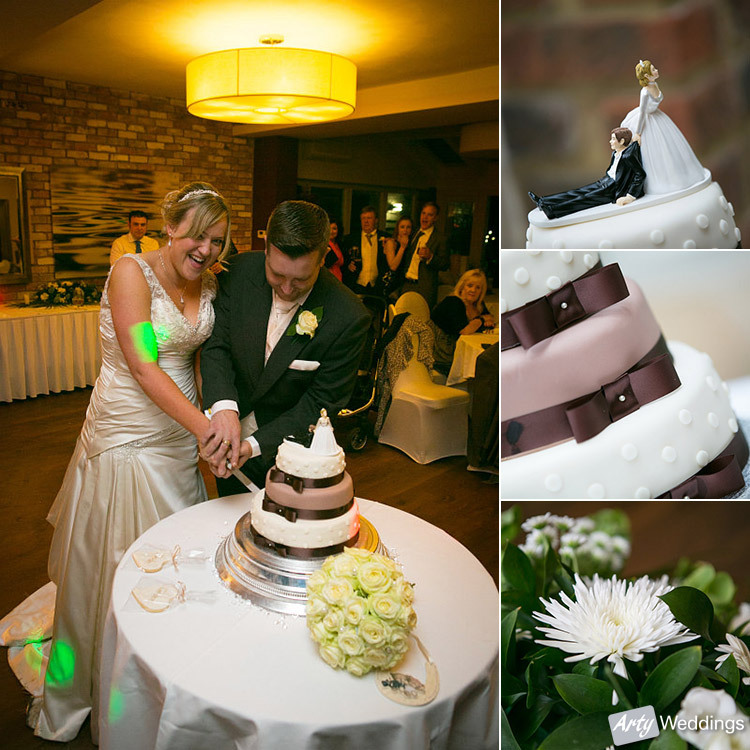 Back into the warmth, and time for the cutting of the cake and the first dance. 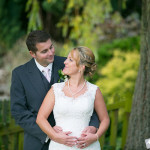 I had a great day with Mark and Jo, I look forward to returning to Great Hallingbury Manor again soon.